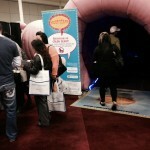 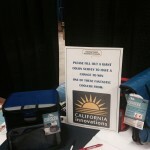 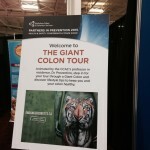 The Giant Colon Tour greeted over 1,300 health and safety professionals at the Partners in Prevention 2015 Health and Safety Conference and Trade Show at the International Centre in Mississauga. 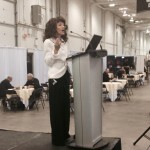 It is Canada’s health and safety industry’s largest and longest running conference and trade show, where over 4,000 health and safety professionals connected to do business. 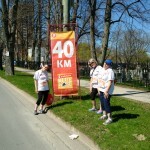 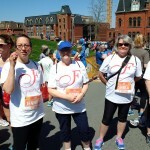 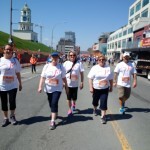 Special thanks to the Halifax Fabricville Team, who raised $555 last weekend at the Blue Nose Scotiabank Marathon. 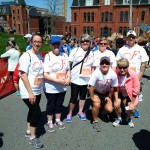 Fabricville’s head office will match their $555 for a total of $1110.00 raised for the CCAC. 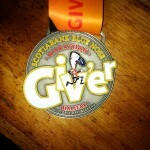 Stay tuned to Facebook for a full list of charity races in your community. 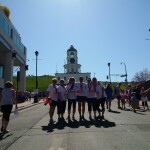 Amazing race guys, Thanks again!